Your Looks matter and so your teeth matter ! Appearance of a person is very important and can mean everything, and while some people are very lucky to have a natural perfect smile or set of teeth or afford great dental care, not everyone is lucky. Having a damaged or imperfect smile can adversely affect a person’s self confidence and esteem, and due to which the person may suffer from personality problems like inferiority complex and depressions due to a low self image of themselves. Missing, stained, or crooked teeth can lead to people avoiding smiling or not smiling due to the embarrassment they perceive they would be subject to due to what others will think of their oral differences. 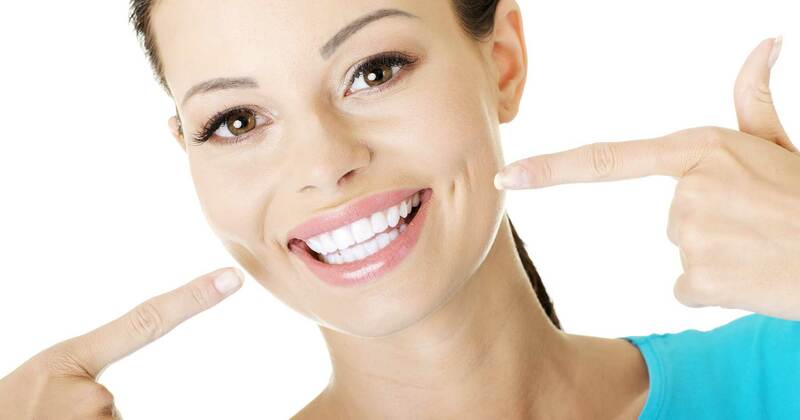 However, a cosmetic dentist can correct your teeth by techniques which are very common in dentistry today. Having crooked teeth or missing teeth could make people behave in a way wherein they are very shy and have reservations against being present in large public groups. They may feel embarraseed, envious or even feel inferior due to the imperfections in their teeth which may even make a person hesitant to get up and speak in public. Presence of missing teeth causes the person to appear older than they really are, as the cheeks sink causing the face to look smaller and even create wrinkles on the face. Children can be the easiest victims to imperfections in teeth since they may suffer from low self esteem due to their still forming teeth. Bullies can be cruel, and make fun of other children with gaps or crooked teeth, or even worse, making fun of children because they are trying to correct their teeth with braces. The children with the imperfections could also be embarrassed in front of their friends to smile, or acknowledge they have braces at all and refusing to show them from fear of embarrassment. The appearance of the teeth can very easily isolate children, and make them reluctant to join in social activities in school. A person’s face is one of the first thing you see when meeting someone new, and a first impression will be made based on your appearance. Having improper teeth can make someone make false judgement about you, without properly getting to know you first. Its an unfortunate happening, but the first impression always sticks in the back of a person’s mind. However there are things you can do to help you correct your teeth. A visit to Sabka Dentist could improve your oral hygiene, and correct whatever problems your teeth could have. Getting braces or a retainer can also help straighten teeth, and some are very indiscreet today, with invisible braces available. It will also help your teeth out in the long run if you brush twice a day daily, to keep the teeth clean and cavity free. Dr.Ankita Gada is a dental director,Alliances at SabkaDentist. She is a highly skilled dental Surgeon and Implantologist, with an experience of more than 10 years. She completed her BDS from Nair Hospital Dental College, Mumbai and PGDBA, Marketing from Symbiosis University, Pune. She has done comprehensive Certified Fellowship Course in Oral Implantology. She also participated in the Advance Implantology course at the Tel Aviv University. She specialises in implants and planning full mouth rehabilitation cases. She is well versed with all the recent advances in technology and materials and keeps up with constant changes in the field of Modern dentistry by attending conferences and workshops across the globe.